This presentation will focus on the family experience of being tested for or living with a genetic condition. Dr. Van Riper has conducted numerous studies concerning families of children with Down syndrome. Some of these studies focused on a specific event such as the diagnosis itself, others focused on the ongoing family-provider relationships, or how individuals and the family as a unit respond to the challenges associated with raising a child with Down syndrome. It is clear that the genetic-testing experience can dramatically influence the lives of family members, as well as the decisions they make since testing usually occurs during pregnancy. Understanding how families make sense of and use these test results can improve the effectiveness of healthcare providers and ultimately improve the lives of both the patients and their families. 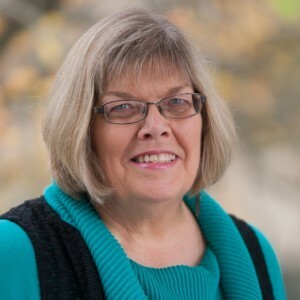 Marcia Van Riper is a Professor at the University of North Carolina- Chapel Hill. She has a joint appointment in the School of Nursing and the Carolina Center for Genome Sciences. She is Chair of the Family Health Division and Interim Chair of the Adult and Geriatric Health Division. She received a BS in Nursing from De Paul University, a MS in Nursing from the University of Wisconsin –Milwaukee, a MA in Bioethics (with an emphasis on genetic issues) and a PhD in Nursing and Psychology from the University of Wisconsin- Madison. In 2012-2013 she was a Fulbright Scholar at University College Cork in Cork Ireland. Marcia was the first President of the International Family Nursing Association. She has an ongoing program of research on the family experience of living with genetic conditions. She is the PI of a cross-cultural study on adaptation and resilience in families of individuals with Down syndrome. Riper, M. V., Knafl, G., Duarte, E. D., & Choi, H. (2016). OC41-Families of children with Down syndrome: a cross-cultural study. Nursing children and young people, 28(4), 82. Riper, M. V. (2016). OC43-Reproductive decision-making in families of children with Down syndrome. Nursing children and young people, 28(4), 83. Van Riper, M. (2012). Changing landscape of prenatal testing: ethical and social implications for families. American Journal of Maternal Child Nursing, 37(3), 143. Choi, H., Van Riper, M., & Thoyre, S. (2012). Decision making following a prenatal diagnosis of Down syndrome: an integrative review. Journal of midwifery & women’s health, 57(2), 156-164. Transportation/ Directions: The most reliable place to park is in the UNC Hospital lot on Manning Drive. Parking fee is $1.50/ hour. The Carolina Inn next door on Pittsboro has space-available pay parking for a flat fee of $10/day. There are also numerous “park & ride” locations in Chapel Hill, with bus service to (or near) the School of Social Work. Directions. Payment and Refund Policies: There will be no refunds issued, however you may transfer your place to a colleague or receive credit for future lecture. Please contact Barbara Leach at 919-966-0396 to make arrangements, or if you have any other questions. 2 Contact Hours from UNC Chapel Hill School of Social Work. 2 Contact Hours NBCC (provider #6642) The UNC School of Social Work is an NBCC-Approved Continuing Education Provider (ACEPTM) and may offer NBCC-approved clock hours for events that meet NBCC requirements. The ACEP solely is responsible for all aspects of the program. Each lecture is co-sponsored by the North Carolina Psychological Association and the UNC School of Social Work. The North Carolina Psychological Association is approved by the American Psychological Association to sponsor continuing education for psychologists. The North Carolina Psychological Association maintains responsibility for this program and its content. Each workshop is offered for 2 Hours of continuing education credit. No partial credit will be given. Participants must attend the entire program in order to receive credit. ONYEN LOG IN is ONLY for UNC-CH SCHOOL OF SOCIAL WORK current students, staff and faculty.